David Edmondson, recent HSCI PhD graduate mentored by Dr. Ulrike Dydak, was selected as one of the two College of Health and Human Sciences 2019 Outstanding Doctoral Student awardees. He will be honored at the April 26th, 2019 Spring HHS Faculty Meeting and is receiving an award plaque and $1,000 prize. David’s graduate studies were funded by a highly competitive NIH/NIEHS F31 Fellowship on Multimodal Neuroimaging Approaches to Modeling Manganese Toxicity. Congrats Dr. Edmondson! 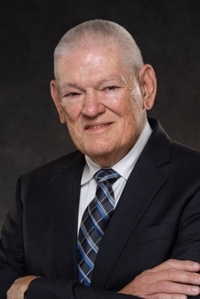 Dr. Charles Miller, a 1973 graduate from Bionucleonics (Radiation Health Physics) is a 2019 HHS Distinguished Alumnus. This award honors alumni who have significantly advanced their careers and have demonstrated noteworthy professional accomplishments that reflect favorably on their profession, Purdue and society. Dr. Akshay Thomas, a 2009 graduate from the School of Health Sciences is a 2019 HHS Outstanding Young Alumni. This award honors alumni under the age of 35 with outstanding career development either through traditional channels or innovative approaches including involvement in professional organizations, college alumni association or community activities. Congratulations to Lynne A. Fairobent, who received the 2018-2019 School of Health Sciences Distinguished Alumnus award presented in honor of Professor Emeritus John E. Christian. Lynn received her B.S. in Environmental Health (Health Physics) in 1978 and is the first woman to receive our School's most prestigious alumni award. She was honored at a dinner at the Buchanan Club, Ross Ade Pavillion on October 11, 2018. Dr. Jason Harris, Associate Professor and Director of CRANS (Center for Radiological and Nuclear Security) helped organize a conference on Active Non-Proliferation. The conference was co-hosted by the INMM and CRANS and organized by the Purdue student INMM chapter, and had nearly 70 attendees. Attendance included students and faculty from eight universities, staff from five national laboratories, and staff from four governmental agencies. HSCI students from our Health Physics program helped with the conference coordination. Jennifer Freeman, associate professor in the School of Health Sciences, has been named a recipient of the 2019 Outstanding Undergraduate Teaching Award in Memory of Charles B. Murphy, who was a history professor at Purdue from 1927 to 1970. Dr. Freeman was surprised with the news on Monday, March 18. 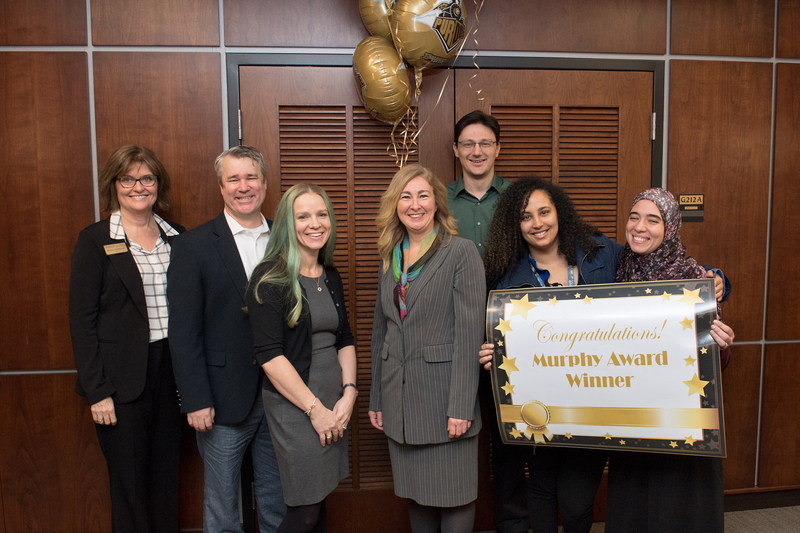 The University's highest undergraduate teaching honor, the Murphy Award is accompanied by a $10,000 cash award and induction into Purdue's Teaching Academy, which provides leadership for the improvement of undergraduate, graduate and outreach teaching. The recipients will be honored at an invitation-only luncheon on April 8. Dr. Jae Hong Park is now a Certified Industrial Hygienist (CIH) as recognized by the American Board of Industrial Hygiene (ABIH). He passed the CIH exam fall semester 2018. He specializes in industrial hygiene, specifically, aerosol technology and air quality. He has taught HSCI 345 Introduction to OEHS and HSCI 552 Introduction to Aerosol Science. For more information about CIH, please visit http://www.abih.org/about-abih/cih-caih. Dr. Jason Harris has been named as the Director of the newly approved Center for Radiological and Nuclear Security (CRANS). Included as one of 135 University approved centers and institutes at Purdue, each center is developed to fill a particular need. CRANS will engender opportunities to establish deeper and more effective partnerships between academia, government, and industry to address formidable challenges in the field of nuclear security. Dr. Robert Bean will serve as the Associate Director. Dr. Aaron Bowman, PIIN member and Professor and Head of the School of Health Sciences recieved a $318,584 1-year R01 Supplement Award (ES016931) from the National Institute of Environmental Health Sciences (NIEHS) to study mechanistic links between manganese neurotoxicity and Alzheimer’s Disease. Dr. Jason Cannon, PIIN member and Associate Professor of Health Sciences received a $336,582 1-year R01 Supplement Award (ES025750) also from NIEHS to study the possible effects of high-temperature meat cooking in the etiology of Alzheimer’s disease. Dr. Jennifer Freeman has been named to the National Academy of Science committee focused on reviewing the safety of organohalogen flame retardants.